1.) I am not here to convince you that amps sound different. No one ever wins these arguments, we might as well start talking about religion or sports team loyalty. Literally no one has ever changed anyone's mind regarding any of these topics by arguing online and I am not about to attempt this impossible task today. Years ago my mom told me that she and my father had some friends who built and sold parts for Harley Davidsons in my hometown of Moscow, ID. I’m not a huge fan of motorcycles and especially Harleys so this piece of information went in one ear and out the other. Fast forward to the summer of 2012, I was back in Idaho for a friend’s wedding when another one of my closest friends from high school called me up saying he had the field trip of a lifetime for me. He said it was a small electronics manufacturer and proceeded to tell me that they were building some really cool niche market audio equipment. Audio field trip? Don’t have to tell me twice about such an offer. I was extremely excited, especially given the escape from wedding preparations. The next day we ventured down to the end of a large metal commercial building. It looked like where you see startup body shops or small town gymnastics studios; the affordable commercial mini mall. We went inside and were greeted by their purchasing director who gave me a personal tour of the place. It was BUSTLING with activity, people working on PCBs, taking orders over the phone, packing up shipments for UPS, etc. They were obviously very busy and outgrowing their space. The director showed me all sorts of cool stuff. Woofers, tweeters, power supplies, amplifiers, even funny stories about a speaker “torture chamber” that he built to simulate intense heat/cold/humidity. That was an interesting discussion as I learned that the most resilient speakers he had ever tested were the HAT Imagines which took extreme head/cold/humidity with ease for a 24 hour period as it played at maximum output and did not skip a beat. Meanwhile he had destroyed the likes of Focal, Rockford Fosgate, and many other speakers with this same testing as well as many micro amps from other manufacturers (Rockford’s “boosted rail” amps were a dirty word there given how quickly they go into limp mode even with easy loads). This was my first real exposure to HAT which would later lead to me installing Unity components in my wife’s Jeep Grand Cherokee. His dedication to testing and finding the best products for his end customers was fascinating. At this point in 2012 I had avoided the car audio world since departing it in 2004 to focus my time and money on finishing school and subsequently starting my career in the Seattle area. However, I had just recently re-entered the DIY home audio hobby about 6 months prior and I was in the process of evolving my active 2 channel speaker system loosely based on the Linkwitz Orions. I was using a 6-channel Rotel RB-976 for my amplification but I had been learning a lot about a company known as Hypex based in the Netherlands, mostly from extensive reading on Class D - diyAudio and Hypex Owners Circle. I was extremely excited to recognize Hypex modules on the purchasing director’s workbench. 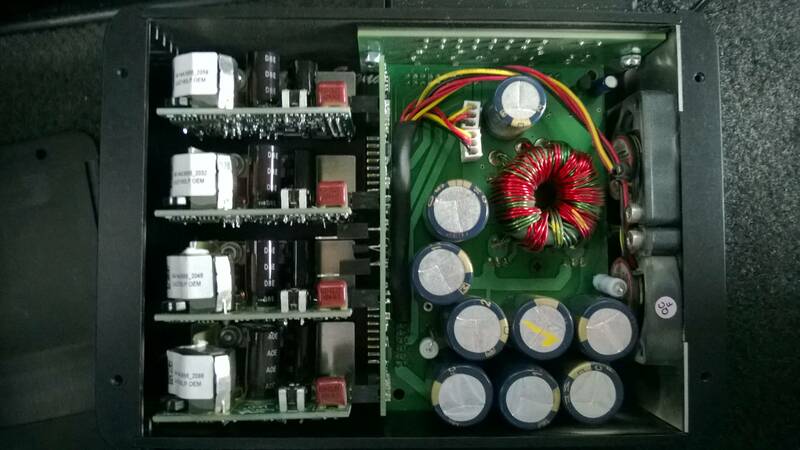 Even some modules I did not recognize, known as the UcD100OEM which they used in an older model of their amp. He began to tell me about these amazing little amps and how they are nearly 100% efficient, highly tolerant to volatile physical/electrical conditions, incredibly good noise rejection, tiny footprint, etc. I was considering building my own Hypex amp for home use but it had never occurred to me to use them in a car, though it made perfect sense. Suddenly it occurred to me that these were my parents’ friends! Except they didn’t build just normal parts for Harleys, they were building audiophile grade packages for these bikes. First, I had no idea that there was such a market for high end audio gear. And second, I was extremely impressed with how much they did in house. They build the 12v power supplies, input stages and cases all there in the same facility before installing the Hypex amp modules for final shipping. What a small world it is! In June of 2013 we finally moved back home to the Seattle area after seeing my mother through to good health. We were sad to move away from Biketronics; my wife was managing their logistics department and I was visiting on a regular basis, tinkering with amps with the owner and eating as much Mexican food as possible, prepared by one of their employees, Maria, who is from Mexico. To this day, Maria’s homemade hot sauce is still the best I have ever had. Mike Meehan, the owner, sent me a BT4180 to test and it only took 15 minutes to install thanks to its small size and simple spring terminals. Only a fine-tipped object is required for installation to depress each spring terminal while fitting each wire. Super simple and RCAs attach with ease as well. 1.) Zero noise, even at high volume. Literally the lowest noise floor I have ever worked with in an automotive environment. 2.) Huge power output. Even at very high volumes driving my Dynaudio Esotar 650 mids and CSS LD25X tweeters, I have never been able to send the amp into clipping. With 180wpc [email protected], this amp definitely meets or beats output of the top 20 percentile of amps on the market. I haven’t seen an amp move my Esotars as much as this does. Tons of midbass kick. 3.) Small, smaller than the smallest USPS flat rate box. You could probably fit 3 of these under most seats. You could even fit one of these in some dashboards, one could easily fit behind my P99 in my truck. 4.) Easy to set up with the spring terminals. No gains to worry about. The Hypex modules can take a huge signal without clipping yet need a very small signal to reach full power output. I have no idea how they do this but it just works…kind of nice for people who do not want to worry about calibrating gains. It is a great match for my P99 which was able to gain down its own outputs during the auto-calibration process, further lowering the noise floor. 5.) Efficient, these are made to create full power on a Harley charging system. You can run a few of these in a typical car without needing to upgrade your electrical. Great for high end installs where the stock electrical system must be utilized (expensive/exotic cars, boats, etc.). 1.) Crystal clear sound at all volumes. Even at very low volume, music sounds clearer than any amp I’ve had in here before. I can make out lyrics even when I turn it down. Something that wasn’t ever quite possible with other amps I’ve had in this truck. Could be a function of the higher power output but basically it translates to better perceived clarity. 2.) Big sound. Other amps I have used sounded a bit more narrow or hollow. The BT4180 creates a sound stage that feels large and enveloping. 3.) More dynamic…again, probably thanks to the higher power capability. 4.) Neutral sound…I’ve never been a huge fan of overly warm amps because of the amount of distortion that seems to be added in the midrange at higher volumes. The BT4180 lets you just crank it louder and louder while remaining absolutely crystal clear. No biases at any frequencies and no perceived distortion. Very transparent to the music. I’m hoping to have a response plot available to post soon after the team at BT throws one of these on their Audio Precision analyzer, though I know prior versions have tested ruler flat from 12hz-20khz+. Yes, flat down to 12hz at full power, no smoothing. Meaning one of these could be used to drive subwoofers with ease. Which I am planning next for a pair of SI BM MKIV 12’s under my back seat, driven by a BT2180 (2 channel version of the BT4180). I am planning a similar setup in a Mustang Cobra convertible this spring to keep equipment weight/size to a minimum for improved performance without sacrificing sound. In fact, I really have no reason why I would use any other amp from now on. They’re certainly not the cheapest amp around but being made in the USA and the lifetime warranty are two great features that help justify the investment. Bottom line, even from a purely objective perspective these are the best amps I have ever used. I recommend them for anyone with the right budget available. 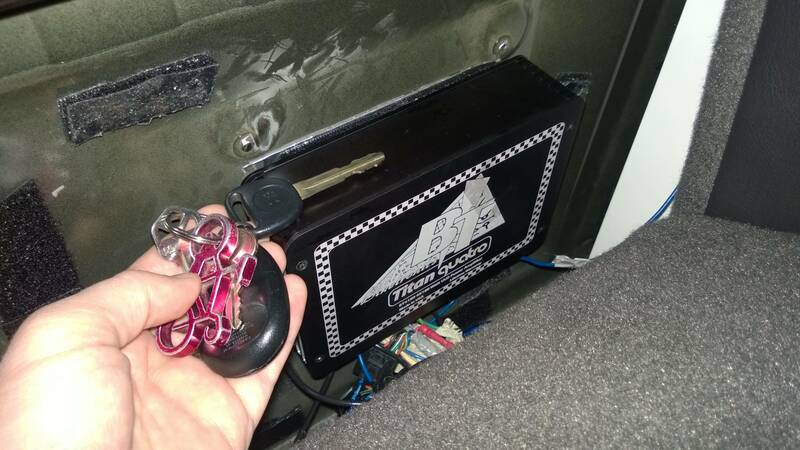 Though Biketronics is very well known in the motorcycle market, they are relatively unknown in the car audio market. To help them get the word out, I am organizing a group buy so please PM me if you are interested in an amp (or two or three). I even have two extra BT4180 amps in case anyone can’t wait for the group buy (originally purchased for my wife’s Jeep but we are returning it to stock before selling it later this year to upgrade to a full size SUV). Both brand new sealed in box with full warranties. There are a few more of these amps in the possession of some prominent members here who will likely chime in with their listening/ownership impressions as well. Last edited by Architect7; 01-04-2015 at 06:28 PM.. They sound too good to be true. Amazing how much tech has changed and you can have this much power and quality in a package so small HATS OFF TO BIKETRONICS!! Interesting how so much power is made in such a tiny space. It would be cool to see a diagram showing the differences in topology from this amp to a "normal" class D or AB amp. I am thinking that you might not get this small size without giving up something. Eventually I would love to build an ultimate home HT amp with all Hypex modules, either UcD700HXG or NCore 400 modules. But this would be astronomically expensive compared to the amp I use now, my big Vincent SAV-P200 which cost me about as much as a naked pair of NCores for six channels of very high performance amplification. So in the interest of $$$ it is not in the cards right now. The cool thing about the BT amps is that they barely cost more than the raw parts. Add in USA assembly and quality control and you can't really build them yourself for much less than MSRP. You don't see that every day! Last edited by Architect7; 01-04-2015 at 07:58 PM..
Great write up.. Glad to hear mom is doing better to btw! I absolutely plan on trying these amps on a project this summer, thanks for the insight on what they have to offer. How is heat build up with these little guys? I am really interested in a couple of these but they would be hidden with not a ton of air flow so heat is a little concerning. These little guys are usually installed in saddle bags. Tons of vibrations from these bikes with limited ventilation and moisture. They have done testing on the speakers in some very harsh environments. One would only think that the same environment that these speakers are exposed to are the same as these amps in real world use. Very solid product for a demanding clientele. Last edited by BlackHHR; 01-05-2015 at 09:07 AM.. Very true and now I will probably be in for a pair when the group buy happens. I do not think so. It is 2 x 180 and 4 x 180. Is there a bridged power rating, couldn't find it on their site? I do not have that answer. Typically in the application it is a pair of 6 x 9`s in the rear saddle bags and comps in the front faring, standard 4 channel. Maybe the O.P. could provide that information. Thanks for the info, hopefully he will chime back in. That lack of gain control could be an issue for some folks. And they may not be bridgeable if there is no way to invert a channel. Like SQ_TSX said they run very cool. And they have two built-in fans in case things do heat up but mine has never had a heat issue, even when driven hard in 95 degree conditions. Not at this time but definitely possible by swapping modules for a larger module. We'll probably see this possibility in a few months. They do not bridge out of the box but the Hypex modules can be bridged very easily. Again, this will probably be built-in functionality at some point. Of all the people I have spoken to, no one has had gain issues with these even when used with very high voltage preamp signals. Again, no idea how BT did it with their input section but somehow it works. These look like quite a bargain, built on a solid and proven platform. Heavily considering a pair for my next 2010 VW CC build. Tuned in for more info.......gonna be amp time real soon, group buy interests me.......especially if there is plans for bridging capabilities for midbass, and a mono for sub action! I did see one of the 2 channels had the DSP input section, maybe they will be doing or are doing it on the 4 channel? Someone try it with some horns mated to some low sensitivity mids to test it out...110 dB mated to 84 dB. You need some way of level matching, as it all probably could not be done in the processor.